Police said in a statement that a forensic team was immediately sent to the scene and an investigation into the incident has been opened. They later announced the formation of special task force to investigate the attack.Many members of the community are French immigrants to Israel, Hadashot TV news reported, saying they had left France to escape anti-Semitism and felt they were now experiencing it in Israel. 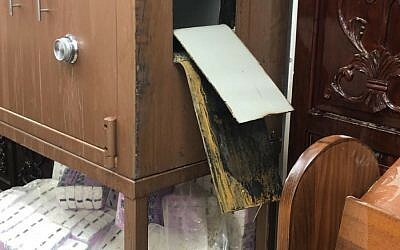 תמונות קשות ומכאיבות הבוקר מבית הכנסת בקרית יובל. אני בטוח שמשטרת ישראל תגיע אל מחלליו ותביאם לדין במהרה על מנת להבטיח כי מראות שכאלה לא ישנו. Jerusalem Mayor Moshe Lion condemned the attack as “a grave event reminiscent of dark periods of the Jewish people,” and said he was confident police would find the perpetrators. 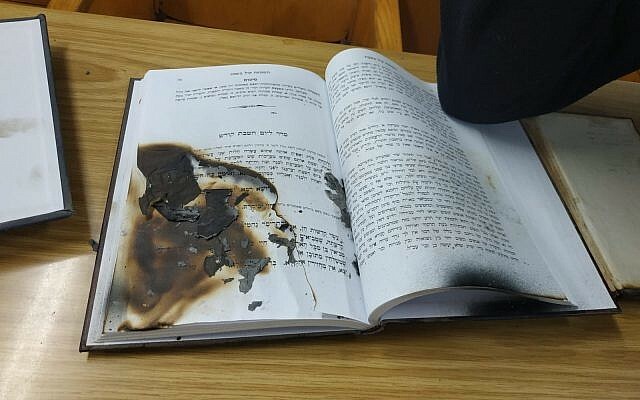 The incident comes just days after vandals burned Jewish prayer books and graffitied the phrase “Hail Satan” in an attack on a Netanya synagogue. A pentagram was also discovered sprayed onto a wall. 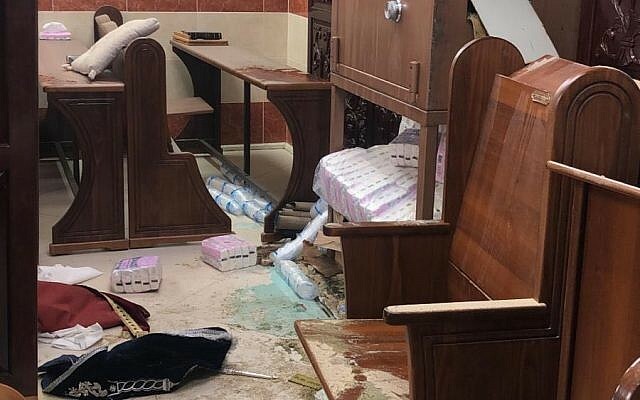 Police are investigating Saturday’s incident at the Orthodox place of worship on McDonald Street, popular among English-speaking residents of the coastal city. In the statement released Sunday, police cryptically noted that a discarded bra was found at the scene.